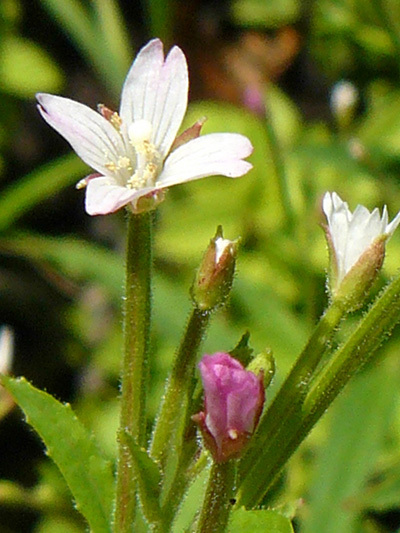 This native plant is the most widespread small flower willowherb in Quebec. Its epithet glandular comes from the glands on the hair of the stem which are mainly present at the level of the inflorescence. Although like most small-flowered willowherb, the Glandular willowherb prefers moist places, it can be found in low-moist areas.